Teaches both beginners and advanced readers everything to know about ASN.1 - whether for the purpose of specifying a new protocol or implementing an existing one in a software or hardware development project. OSS Nokalva, Inc. wrote:In order to download the free ASN.1 books that OSS provides, you'll need to fill out the following registration form. ASN.1 Complete teaches everything to know about ASN.1 - whether for the purpose of specifying a new protocol or implementing an existing one in a software or hardware development project. 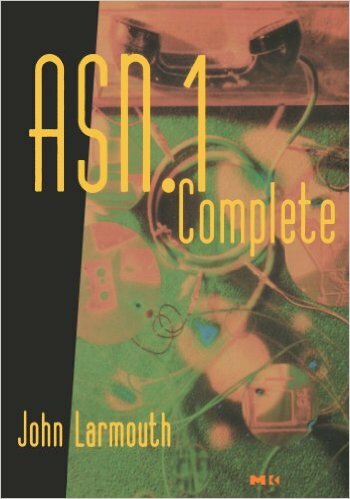 The book begins with an overview of ASN.1's most commonly encountered features, detailing and illustrating standard techniques for using them. The book then goes on to apply the same practice-oriented approach to all of the notation's other features, providing the readers with an easy-to-navigate, comprehensive tutorial. The book also includes thorough documentation of both the Basic and the Packed Encoding Rules - indispensable coverage for anyone doing hand-encoding, and a valuable resource for anyone wanting a deeper understanding of how ASN.1 and ASN.1 tools work. The concluding section takes up the history of ASN.1, in terms of both the evolution of the notation itself and the role it has played in hundreds of protocols and thousands of applications developed since its inception. - Covers all the features-common and not so common-available to readers when writing a protocol specification using ASN.1. - Teaches the readers to read, understand, and implement a specification written using ASN.1. - Explains how ASN.1 tools work and how to use them. - Contains hundreds of detailed examples, all verified using OSS's ASN.1 Tools package. - Considers ASN.1 in relation to other protocol specification standards. :) "For the person that is beginning to learn ANS.1 this is an excellent selection; it will teach ASN.1 to the reader and give a much needed overall understanding to ASN.1 very quickly. " :) "This book does an excellent job of not only explaining how ASN.1 works but why it works that way. It is obvious that the author is an expert in this field. His explanations are clear and he makes good use of diagrams. He also draws on historical evidence and his own experiences." 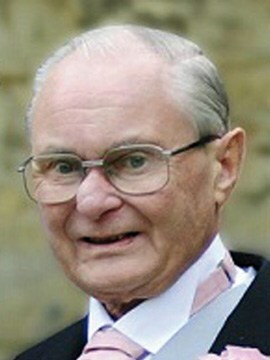 Professor John Larmouth (1941-2012), was a major contributor to the Open Systems Interconnection (OSI) model, the ISO standard that is still used as the reference model for teaching and understanding data communications protocols and Standard Generalized Markup Language (SGML), which provided the foundation for the HTML, XHTML and XML languages of the World-Wide Web.